Home NEWS NUTREND and its presentation at EVLS Prague Showdown. The biggest bodybuilding and fitness event in Czech Republic moved from Tipsport Arena to Prague‘s modern halls of PVA EXPO Letňany and thus got characteristics of a world event. NUTREND brought Czech and international athletes, we prepared new products, you could taste for the first time during EVLS. The NUTREND Endurance division came with racers from NUTREND Racing Team. Benjamin Radic, Evelien Nellen, Kevin Nellen, MOCTAR, Elis Naumanis, Davor Brdjanovič, Eva Havelková, Jakub Prchal, JOJO Porubský, Karlos Vemola represented NUTREND during all event. Karlos also showed MMA training exhibition. Pavel Szotkowski made us happy with his 4th place in category classic bodybuilding over 180 cm and Helga Stibi, who took 2nd place in category Bikini Fitness, too. Guys from the NUTREND Racing Team brought Formula 3000 to show straight at the stand and in front of the hall you could see another racing cars. 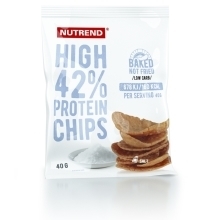 Out of new products you could taste PROTEIN CHIPS. 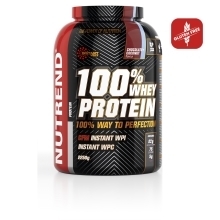 We got great feedback about new HYDRO WHEY. 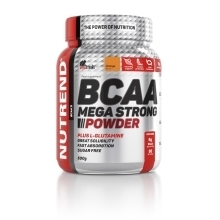 New flavours of 100% Whey Protein and BCAA MEGA STRONG POWDER were ready for you, too. 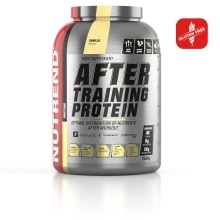 A lot of visitors asked about After Training Protein, which is balanced mixture of after training nutrients with optimalized absorbency for recovery maximalization. We believe that you enjoyed all weekend as we did. Another upcoming expo is SN PRO Expo Forum in Moscow from 28th to 29th August.